LG X Power Review: The Best Phone for Pokemon Go! Matthew Moniz (YouTube) posted a video review of the LG X Power smartphone. Matt highlighted the overall specs of the X Power including the 4,100 mAh battery, the 5.3-inch display, 7.9 mm thickness and more. "I was utterly shocked on how good the battery life is. I thought I could drain it in one day with heavy usage by streaming videos, playing games , listening to podcasts and all the things I typically do. The phone just kept on going!... You can use this phone for 3 to 4 days without having to recharge. I'm actually nominating this device as the best phone for Pokemon Go." Yahoo! Canada (Online) wrote an article detailing an issue of ransomware hijacking an LG smart TV. A family had installed an app to stream a movie on Christmas day when the TV showed a message that suspicious files had been detected and they would need to pay a fine to unlock the device. The article states, “A spokesperson for LG initially pointed out to IBTimes that LG smart TVs run WebOS, an open-source Linux-based operating system. The company did switch to WebOS but the model in question in the ransomware case, the now discontinued LG 50GA6400, can be found on LG’s site and is advertised as coming with Google TV.” The customer is located in the US and the LG US team has since resolved the issue. Starving Foodie (Online) made a post highlighting LG presents Chuck Bites in Toronto. It talks about how Chuck met with intimate groups of food and lifestyle writers to walk them through several recipes he made in partnership with LG. Along with the recipes, Chuck talked about the fantastic LG appliances he was cooking on. It states, "I can tell you that they are beautiful appliances that I wish I could have in my apartment and if I has the money when I was living in a house I would have bought them for sure." Like most people, I replaced my digital point-and-shoot camera with a smartphone camera a long time ago. So now that the two-year contract on my worn-out Samsung Galaxy S4 is up, I want to make sure that my next phone has the best camera available. But with every smartphone maker claiming to have the newest, flashiest camera, how can you tell which is actually the best? To find out, I took to the streets of Manhattan with some of today’s hottest smartphones and shot pictures of everything from statues to flowers to people. Then I compared how each phone’s camera performed. Four co-workers and I ranked each photo on a scale from 1 to 6, awarding 1 point to the worst photo in each category and 6 to the best. 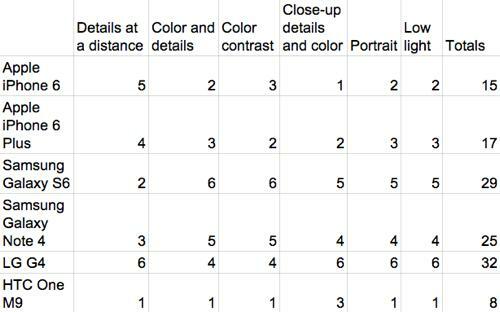 Scores are based on how clearly detailed the images were and how closely the colors matched those in real life. It’s important to note that these rankings are based on each person’s personal preferences. As such, a reasonable person can completely disagree with our ratings. A less reasonable person can scream at us in the comments. All of the phones’ cameras were set to auto mode, pictures were captured without using a tripod, and none of the images were color-corrected or altered in any way. Changing a camera’s settings can significantly change the way a photo comes out. But that’s more a measurement of your own shooting skills than of how the camera performs. The phones I chose for this matchup were Apple’s iPhone 6 and iPhone 6 Plus, Samsung’s Galaxy S6 and Galaxy Note 4, the LG G4, and the HTC One M9. Each phone is less than a year old and comes with a seriously powerful camera. The reason for choosing these phones? Beyond being some of the newest phones you can buy, as well the ones you’ll most likely see in stores, they all claim to be the best smartphone for shutterbugs. The iPhone 6 and iPhone 6 Plus both feature Apple’s new 8-megapixel iSight camera. The iPhone 6 Plus adds optical image stabilization (OIS), which helps ensure that your shots are clear even if your hand shakes while taking them. The Samsung Galaxy S6 and Galaxy Note 4 come with a 16-megapixel camera as well as OIS, as does the LG G4. 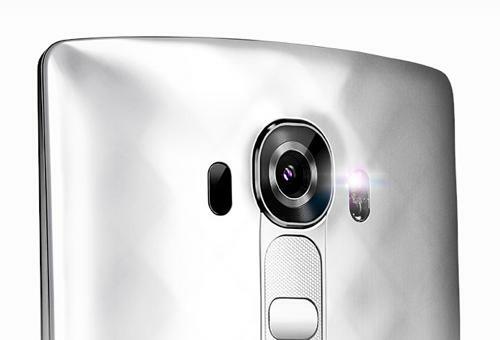 HTC’s One M9 gets a large 20-megapixel camera sensor but no OIS. It’s important to note that just because one camera has more megapixels than another doesn’t necessarily make it a better camera; that merely means it can take a larger photo. So if you print a picture taken with an 8-megapixel camera, it will be smaller than a 16-megapixel shot. A higher megapixel count also means you can zoom closer into an image before it starts looking pixelated. After thoroughly testing each phone’s camera, LG’s G4 came out on top. That was followed closely by Samsung’s Galaxy S6 and Galaxy Note 4, and a little more distantly by Apple’s iPhone 6 Plus and iPhone 6. Bringing up the rear was HTC’s One M9. The LG G4 captured the most detailed and colorful shots. If you’re looking for a camera that offers slightly less detail but more vibrant colors, the Galaxy S6 and Galaxy Note 4 are also fine choices. The iPhone 6 and iPhone 6 Plus, on the other hand, are great if you want to capture colorful photos and don’t think you’ll need to crop or zoom in on your images, due to their lower megapixel count. Don’t even think about getting the HTC One M9 if you want a good smartphone cam. Read on for my shot-by-shot account. This shot of a train station is meant to illustrate how each camera captures details at a distance. The original photos were cropped to focus on a specific area of the station. 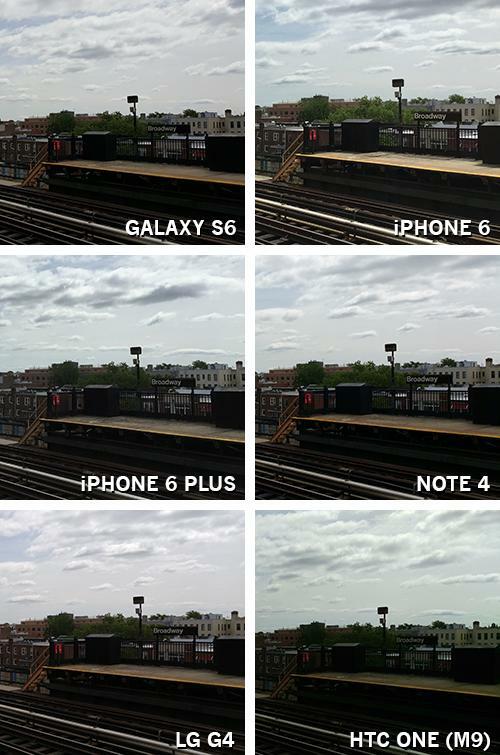 Of the six phones, the LG G4’s photo of this train station in Queens is the best. Colors look vibrant, and details such as the graffiti on nearby buildings are clearly visible. The sky in the G4’s photo also has the most color contrast of any of the shots. 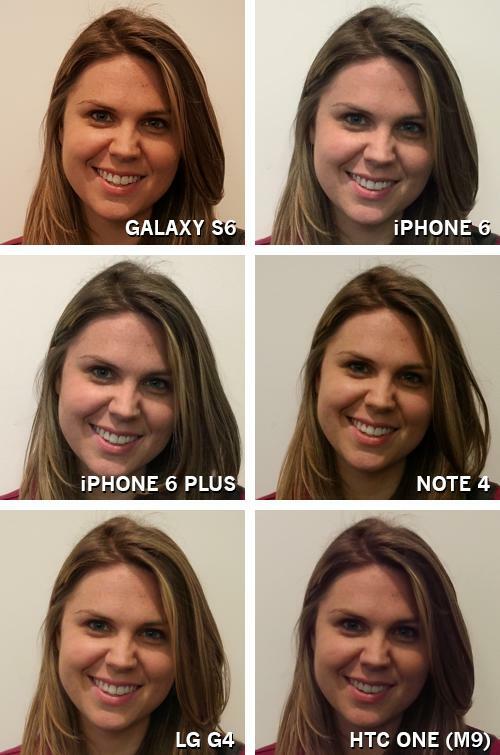 The iPhone 6 and iPhone 6 Plus took nearly identical pictures, though colors in the iPhone 6’s photo are a hair better. Overall the shot looks great, but when you look closely, you can see that the sky is unnaturally blue. Background details are also lost when you view the images at full size. The Galaxy Note 4 and Galaxy S6 both captured an impressive amount of detail, but color and contrast are better in the Note 4’s image. At the bottom of the pile is the picture I took with the HTC One M9. It’s too dark, making details like the Broadway sign and background hard to see. This shot compares the color and details of a subject taken at a distance. The photos were cropped to focus on contrast between the yellow flower and green leaves in the background. Both the Galaxy S6 and Note 4 took the best shots of this yellow flower in New York’s Bryant Park. Colors in the S6’s image are even, and details like the small dimples in the flower’s petals look clear and crisp. 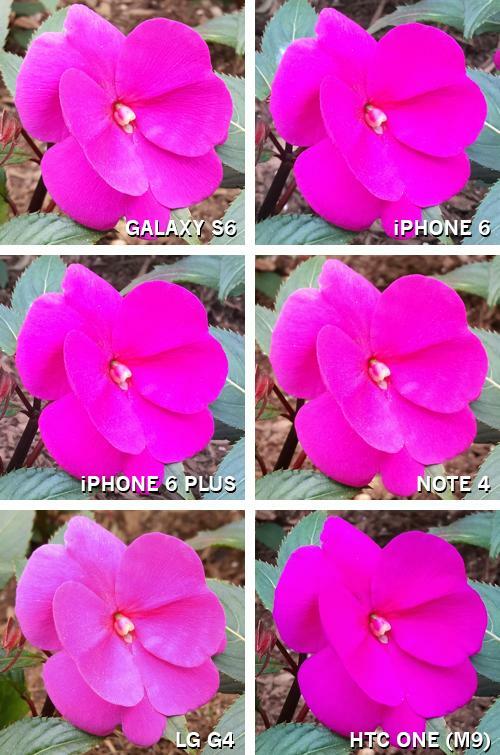 The Note 4 fell short of the S6, though, as parts of the flower’s petals looked too white. The LG G4′s image was nearly identical to the Note 4′s, but the whites in the flower’s petals were too bright. One problem I found with the iPhone 6 and iPhone 6 Plus is that they tend to make colors look too vibrant. That’s especially clear in this shot, as the greens and yellows look far more green and yellow in the photo than they do in reality. 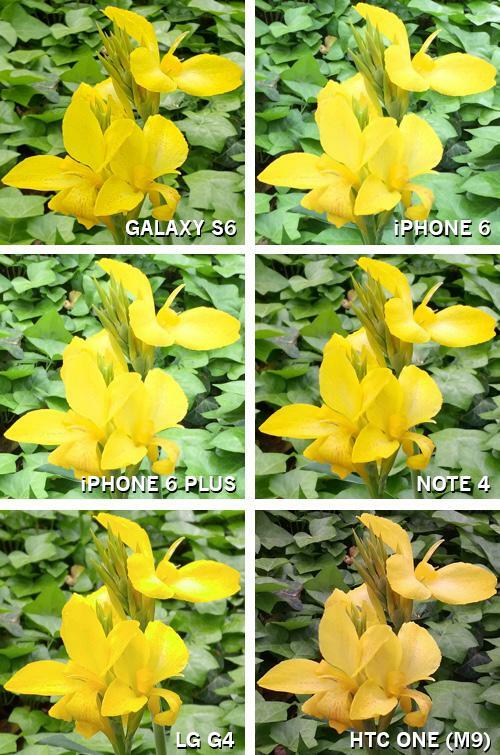 The iPhone 6’s picture was slightly better than the iPhone 6 Plus’s because it wasn’t as bright. On the opposite end of the spectrum was the HTC One M9, which gave its image an unattractive yellow tint. This image is meant to compare color contrast between photos. The Galaxy S6 took the best photo of this chess set, capturing colors exactly as they looked in real life. The Note 4’s shot was largely the same, though colors are too dark at the top of the image. 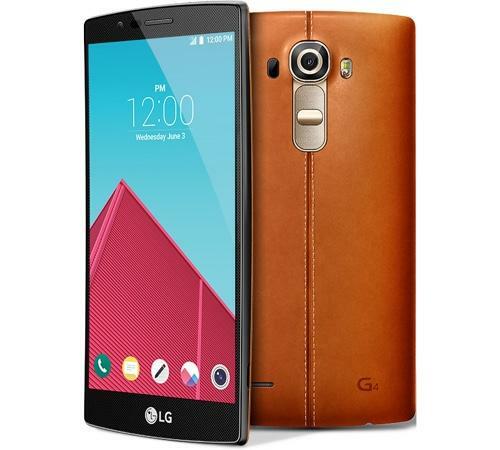 The LG G4′s picture was also on the dark side, but colors were even throughout. 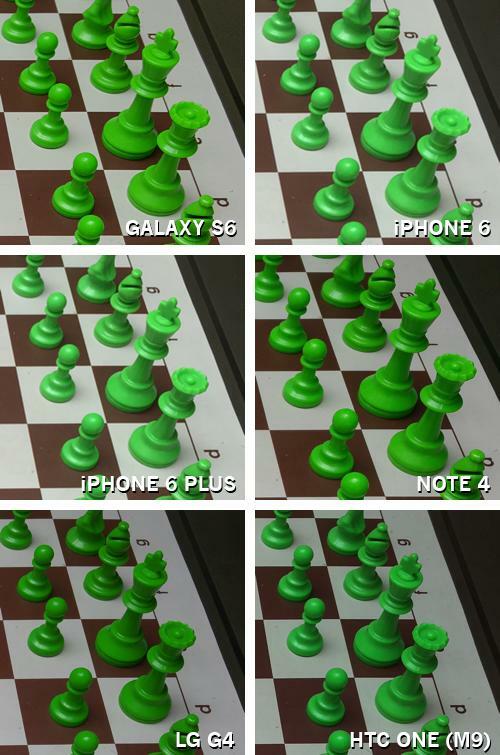 The iPhone 6 Plus and iPhone 6 both made the colors of the individual chess pieces look brighter than they actually were — the iPhone 6 in particular made them look as if they had been dipped in bright green paint. This photo compares color quality and detail in a close-up shot of a flower. Wow! That’s honestly the first word that popped into my head when I saw the picture the G4 took of the flower. There are details in this shot that I couldn’t even see with my own eyes. Sure, the colors also look great, but the sharpness of this shot is what’s so impressive. The Galaxy S6’s shot looks fantastic, but the details just can’t match what the LG G4’s camera is capable of. The Note 4’s shot is crisp, but not quite as clear as the Galaxy S6’s. The M9’s shot looks as if the contrast had been turned up too high, as details are nearly completely invisible. Still, the HTC′s photo is better than the ones I took with the iPhone 6 and 6 Plus, both of which lack many details and tend to blend colors. An image showing the clarity and color quality of a portrait. This is a close call between the LG G4 and the Galaxy S6. Whereas the S6′s image captured more details, it came out too red. The G4′s colors are spot-on, but the image reveals fewer fine details. In the end, I gave the nod to the G4 for its more accurate coloring. The Note 4 fell just behind the S6, as the image details were soft and colors were slightly off. The iPhone 6 Plus photo looks good at a distance but is far too pixilated when viewed at full size — and the iPhone 6 image was even worse. Still, neither was as bad as the HTC One M9′s, which was not only grainy but also too dark. An image showing how each camera handles low-light photos. At some point, you’re going to take a picture in a bar or at a party, so you’ll need a camera that handles low-light settings well. In this group, the best low-light smartphone camera is the LG G4. Not only was its shot clear, but the colors were just shy of perfect. Behind the G4 is the Galaxy S6, which captured decent details and relatively accurate colors. The Note 4′s shot is bright enough, but the yellows in the image are exaggerated. The iPhone 6′s picture was grainy and dark but a hair sharper than the iPhone 6 Plus’s image, which suffered from the same coloring issue as its smaller sibling’s. 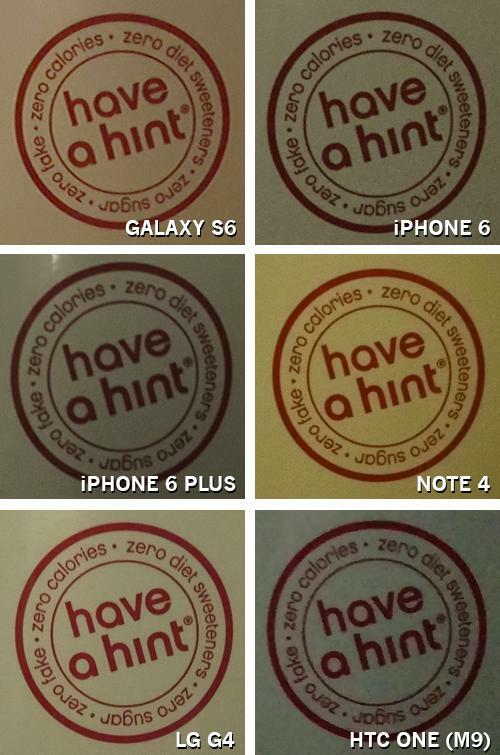 At the bottom of the list was — yes, again — the HTC One M9, which took a grainy, discolored photo. This was a close race, but in the end, the LG G4′s camera captured better photos more often than its competitors, racking up a total score of 32 points. Behind the G4 is the Galaxy S6, with a total of 28 points, and the Galaxy Note 4, which accrued 26 points. The iPhone 6 Plus and iPhone 6 fell on the lower end of the scale, garnering 17 and 15 points, respectively. The worst-performing phone of the bunch was the HTC One M9, which consistently captured photos that were either too dark or too grainy. Which of these phones would you choose? Post your favorites in the comments below. And please, try to be reasonable. Email Daniel at dhowley@yahoo-inc.com; follow him on Twitter at@DanielHowley or on Google+ here. Android Coliseum (Online) posted a review of the LG CAM Plus. Tech journalist Ryan Moore highlighted the features of the LG CAM Plus such as the grip, extra battery and more. Ryan stated, "The interesting thing at the point is that whenever the module is "engaged" is when the little battery in there starts to kick in and then we see the device start to charge. So you don't automatically get a 4000mAh battery when it's plugged in (the G5 has a 2800 battery and the module is 1200mAh). It's like a portable battery that you have connected but it kinda shuts off when not in use."